Lucky you. 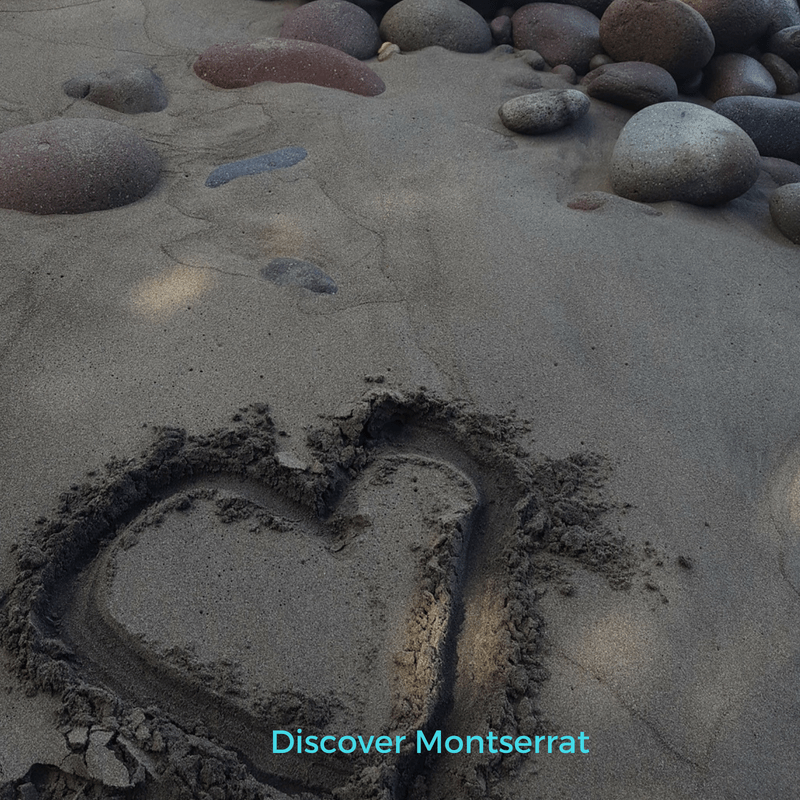 You’ve got the better part of a day to explore this lovely rock called Montserrat. Here’s a few suggestions to make the most of your time on island. After your short early morning flight over from Antigua, you can choose to either hire a taxi service or purchase a driver’s permit to allow you to rent your own vehicle. As it’s only one day, we suggest you hop into one of the taxis right outside the arrival hall and share your plans with the driver. They are sure to have suggestions to make it even more special. First stop, will be Chit Chat in Brades for a warm breakfast pastry and a cold or hot beverage. You can sit and eat or grab it to go. We’re going to assume that this is a spur of the moment trip in the middle of the week and you didn’t have time to make arrangements ahead of arrival. Ask your driver to take you to the Montserrat Volcano Observatory. At 15 minutes past every hour, they play a short and intriguing 25-minute video on the eruptions of the volcano since 1995. Be sure to ask for a tour of the observatory to view the stunning images captured over the years, and to understand the work they continue to do there. Did you walk with your camera? Then let’s hope there is no cloud cover and you can capture your own amazing shots of the Soufriere Hills Volcano from the balcony of the MVO or from another location in the Isles Bay area. If you had more time to plan your trip, you would have been able to get a trip into the Buried City of Plymouth. So for your next trip, be sure to let a tour company know at least three days in advance in order to apply for the special permissions needed to go into the Exclusion Zone. You can still get some great photos of Plymouth from a Bird’s Eye View. Your taxi driver can choose to take you to one or both of these locations. Garibaldi Hill offers a breathtaking view of Plymouth, St George’s Hill, the Soufriere Hills Volcano and North towards the Centre Hills and beyond. It really is a breathtaking vantage point. Another option is the ruins of the Montserrat Springs Hotel. You will wonder past abandoned homes and enter this hotel which may seem frozen in time. Papers still strewn the registration desk and clothes hang in the closets. 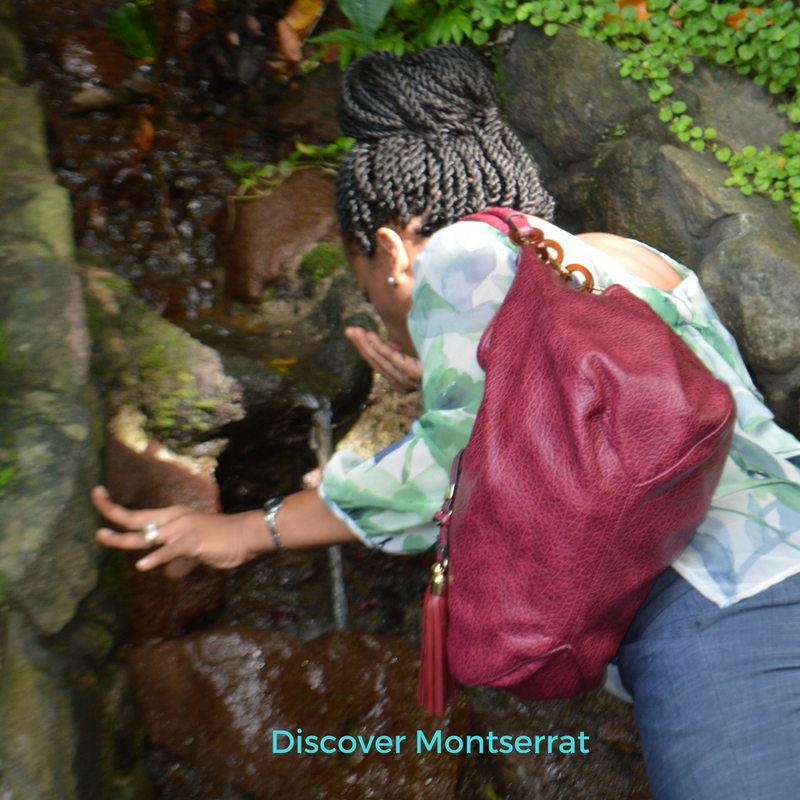 Watch your step but be sure to ask lots of questions about this remarkable time in Montserrat’s recent history. By now, you must be getting very hungry. How about lunch at one of the roadside cookshops as they are called? You may also try The Attic restaurant which offers local cuisine or grab a slice of pizza or a hamburger from …..
Now that you’ve been refreshed let’s head back towards the North. There are two options for your final major stop before catching the ferry or your afternoon flight. 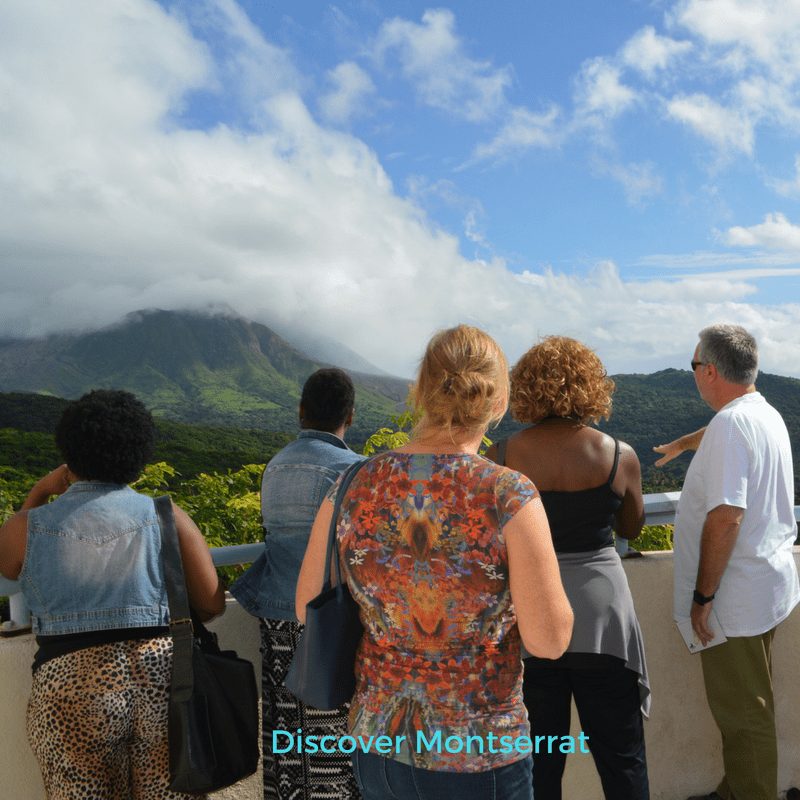 You can choose to visit the Montserrat National Trust and Botanical Gardens. Here you can learn more about our native plants and their medicinal benefits, explore the gift shop for unique gifts or view an exhibit, if there is a schedule one. Another option is to stop at Hilltop Coffee House in St Peters. 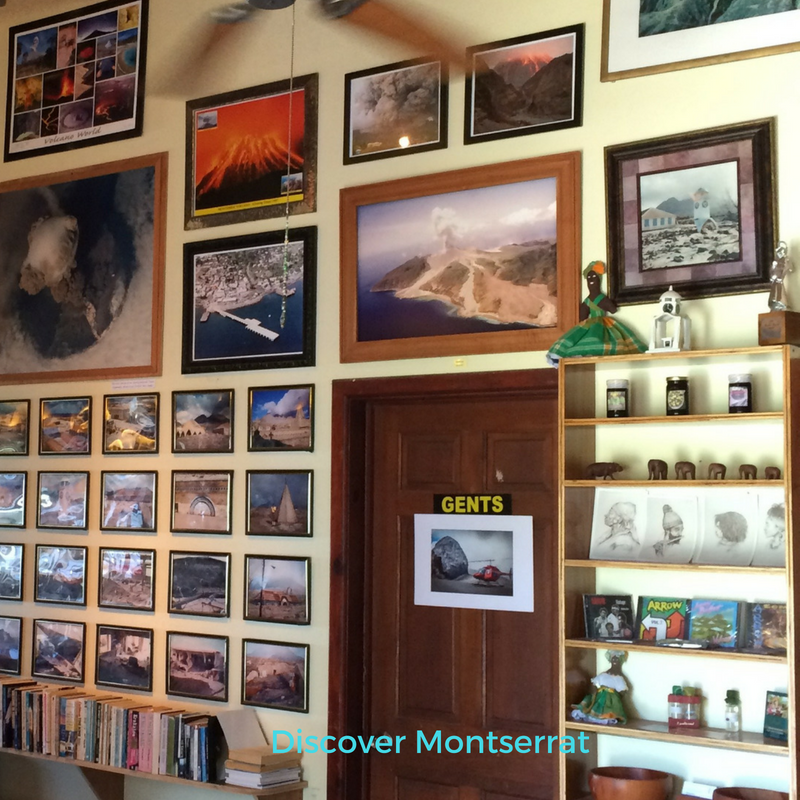 The cafe includes lots of memorabilia of Montserrat’s musical and volcanic past. You will want to check out the 80s musicians who recorded some of the most iconic albums at Air Studios. Don’t forget to get a drink of our natural spring waters at Runaway Ghaut. Remember the legend says if you take a drink you are sure to return to the island. Now that your day is about over. You can take a moment to put your feet in the sand at Little Bay before you get ready to board the ferry. If you’re heading out by plane, then take a few minutes to get last minute souvenirs at Last Stop Gift Shop across from the main terminal. Would you like to be featured in this post or other sponsored content? Contact us today for prices and more details.